CHICAGO — Attorney General Jeff Sessions can't follow through — at least for now — with his threat to withhold public safety grant money to Chicago and other so-called sanctuary cities for refusing to impose new tough immigration policies, a judge ruled Friday. The decision represented a legal defeat for the Trump administration and what is at least a temporary victory for cities that have defied Sessions. 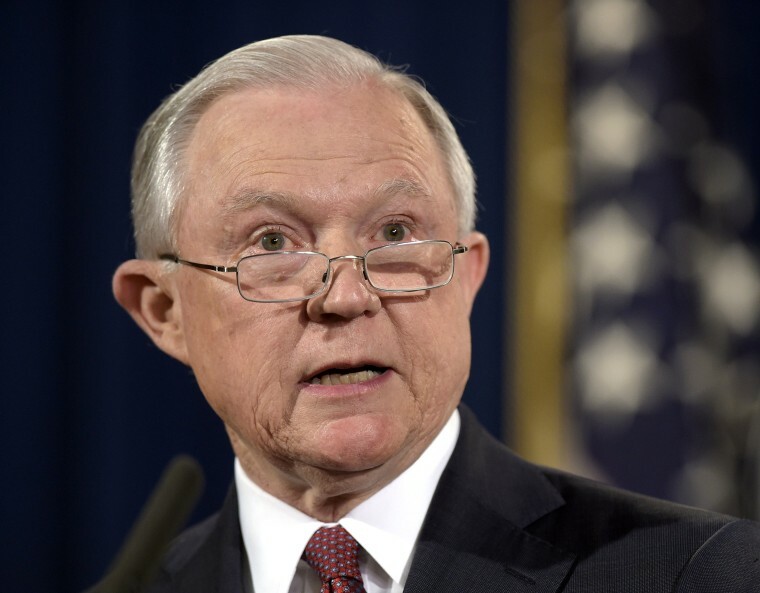 U.S. District Judge Harry Leinenweber ruled that the Justice Department could not impose the requirements and said Chicago had shown a "likelihood of success" in arguing that Sessions exceeded his authority with the new conditions. Among them are requirements that cities notify immigration agents when someone in the country illegally is about to be released from local jails and to allow agents access to the jails. The city had asked the judge for a "nationwide" temporary injunction this week, asking the judge not to allow the Justice Department to impose the requirements until the city's lawsuit against the department plays out in court. City officials have said such a ruling would prevent the Justice Department from withholding what are called Edward Byrne Memorial Justice Assistance Grants to the cities based on their refusal to take the steps Sessions ordered. Chicago has applied for $2.2 million in the federal grant money — $1.5 million for the city and the rest for Cook County and 10 other suburbs. But in a recent court hearing, attorneys representing the city said that more than 30 other jurisdictions across the United States filed court briefs supporting Chicago's lawsuit and have up to $35 million in grants at stake. At least seven cities and counties, including Seattle and San Francisco, as well as the state of California, are refusing to cooperate with the new federal rules. Though the $1.5 million is just a tiny fraction of the city's budget, the ruling could be a major victory for a city that has been in a public fight with Sessions. Mayor Rahm Emanuel has said the city would not "be blackmailed" into changing its values as a city welcoming of immigrants, and Sessions responded that the Trump administration would not "simply give away grant money to city governments that proudly violate the rule of law and protect criminal aliens at the expense of public safety." The ruling is another blow to Sessions, a longtime champion of tougher immigration laws. Earlier this month, Sessions announced that the administration would end a program that protects young immigrants who were brought to the U.S. illegally as children or came with families who overstayed their visas. Trump later announced he was working on an agreement to protect them. Whether or not the ruling means that Leinenweber will ultimately decide in favor of the city is unclear. During a hearing, Ron Safer, an attorney representing the city, said that if the Justice Department prevailed, he could use the same argument to "seize" even more authority to tie grant money to doing what he wants.